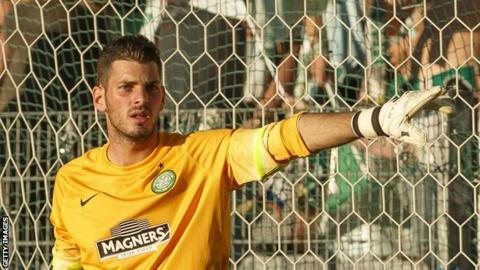 League One side Bury have signed former Celtic goalkeeper Leonardo Fasan on non-contract terms. The 23-year-old joined Celtic as a youth signing from Italian side Udinese in 2010 but did not play a senior game for the club before leaving in July. Fasan spent time on loan with Port Vale last season, where he made 10 League One appearances for the relegated club. He kept two clean sheets while on loan with Vale, in their 1-0 win against Walsall and a 0-0 draw at Fleetwood.